African Shirt- White and Silver Dashiki pants. 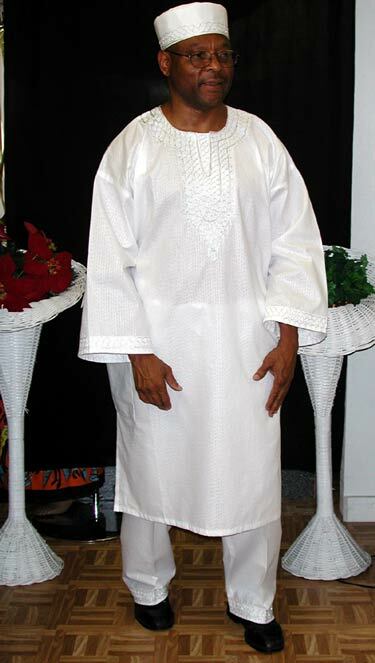 African white dashiki with silver embroidery and a matching pants and kufi hat. Fine quality brocade fabrics. Perfect for Groom or Groomsmen and wedding parties. Available in all sizes and most colors, White, Cream and Black with silver embroidery. Made by Wilsdom Designs.